Why do I have to visit the dentist for checkups if nothing hurts? Because you can’t see what the dentist sees. Shimla dentist uses magnification for every examination he does. And with a special camera, he can show you cavities, leaking fillings, gum disease, tooth wear, or even oral cancer that you would never know existed. Dr. Goma can prevent small problems from developing into larger health concerns that will cost you considerably more time and money to fix in the future. * Gum Disease – What’s the most common disease? What accounts for 70% of all tooth loss? Gum disease. Recent studies show that people with periodontal disease are twice as likely to develop heart disease or diabetes. Oral bacteria can enter the bloodstream through the gums, jeopardizing your whole-body health. Signs of gum disease may include bleeding gums and pockets between the teeth, but you may not have any symptoms at all. Dr. Goma treats early and advanced periodontal problems, but early treatment is always easier and more successful. * Tooth Decay – If the dentist finds a cavity, he simply removes it and replaces it with a white filling. Problem solved. However, if your cavity gets below the gum line, into the root canal area, or underneath the tooth cusp, you may need crowns, implants or more advanced, costly care. Dr. Goma can help you prevent cavities with regular checkups and cleanings. * Oral Cancer – Oral cancer is one of India’s deadliest cancers, claiming the lives many every year. Risk factors include tobacco, alcohol consumption, cheek or lip biting, and poorly fitting dentures. However, 25% of oral cancers occur in people who have NO risk factors at all. During your regular dental checkup, Dr. Goma screens your head and neck while checking your mouth with magnification. When caught in its early stages, oral cancer has an 80 to 90% cure rate. Regular visits to the dentist’s office may not only save you money, they may also save your life. To schedule your checkup or cleaning, call our dental office at 177-6450704. Teeth grinding during sleep may not seem like the biggest problem other than being annoying for anyone you have to share a bed with, but if it continues over a period of time it can break down tooth enamel and cause serious structural damage to teeth. Also known as bruxism, for many years subconscious teeth grinding was thought to be caused solely by stress and anxiety. This may be true for some cases but these tend to be temporary. Many dentists have conducted studies in recent years to demonstrate another more common cause for the condition. They have concluded that bruxism is more often than not caused by a disruption in bite. This is the way the top and bottom teeth sit together and can be affected by such factors as physical trauma, tooth loss and tooth movement. If the teeth do not sit together comfortable it may cause the jaw muscles to spasm and move, which leads the teeth to rub against each other. If this happens for several hours a night over an extended period you can imagine that it doesn’t take long before an irreversible process of enamel removal begins to take effect. If the enamel breaks down it can lead to dangerous cavities which expose the dental nerves to infection and can be extremely painful. Our dentists can treat bruxism ether by correcting the misalignment or by providing the patient with a dental appliance to protect the teeth during sleep. Oral health is integral to general health, and quality of life, psychologically by influencing how they grow, enjoy life, look, speak,chew, taste food and socialize, as well as affecting their feelings of social well-being. Manifestations, which are often the first signs of the disease professionals may be the first to discover them and recommend further medical assessment. Furthermore, certain systemic conditions can have direct negative effects on the oral cavity. Oral diseases share common risk factors with the four leading chronic diseases – cardiovascular diseases,cancer, chronic respiratory diseases and diabetes — including unhealthy diet, tobacco use, and harmful alcohol use. Poor oral hygiene is also a risk factor. Diabetes especially has oral health implications, and can lead to changes in the oral cavity. Poor glycemic control in diabetics is associated with gingivitis and more severe periodontal diseases. Systemic diseases, and the medications used to treat them, often cause adverse oral side effects, such as reduced salivary flow, altered senses of taste and smell, jaw and facial pain, overgrowth of the gums, bone loss and mobility of teeth.Also, numerous medications cause dry mouth, which leads to an increased risk for cavities. Diabetes can weaken the body’s resistance to infections, and high blood glucose levels in saliva can help bacteria to thrive. Therefore,uncontrolled diabetes and uncontrolled gum disease enhance one another. Diabetics have about twice the risk for periodontal disease as healthy patients, and almost one-third of people with diabetes have severe periodontal disease.Inflammatory periodontal disease can also be a predictor of death from ischemic heart disease and heart attacks in patients with diabetes. Additionally, periodontal disease has been identified as a risk factor for such conditions as heart disease and rheumatoid arthritis, perhaps through a pathway of increased systemic inflammation.Not many people are aware of recent research that associates heart disease and even strokes with poor oral hygiene. A lax regime in oral care leaves the blood low in Lipoproteins, research shows that this disorder is a leading factor in hardening of the arteries. Every dentist has an advisor on duty, and they are there to prevent problems rather than push up the bill. Bad oral hygiene kills off the good part of High Density Lipoprotein (HDL) and Low Density Protein (LDL), both of which serve to carry naturally produced proteins from one organ to another. If the proteins aren’t absorbed by their receptacle organ then the organ will experience problems, This leads to many of the diseases which together can cause a heart attack. All this can be prevented by spending a little more time on brushing, flossing and making sure that our gums are healthier. Oral and pharyngeal cancer is the sixth most common malignancy reported worldwide and one with high mortalityratios among all malignancies. The global number of new cases was estimated at 405,318 about two-thirds of them arising in developing countries. Highest rates are reported in South Asian countries such as India and Sri Lanka. The Indian sub-continent accounts for one-third of the world burden.In the USA alone, 30,000 Americans are diagnosed with oral or pharyngeal cancer each year. * Drink fluoridated water and use fluoride toothpaste. * Take care of your teeth and gums. * Thoroughly brush with a soft toothbrush twice a day and floss to reduce dental plaque and prevent gingivitis. * Visit a dental provider regularly. * Eat wisely – avoid snacks with sugars and starches and limit the number of snacks eaten throughout the day. Also, eat the recommended five-a-day helping of fiber-rich fruits and vegetables. * Individuals with diabetes should work to maintain control of their blood sugar; this will help prevent the complications of diabetes, including an increased risk of gum disease. * Avoid tobacco and limit alcohol. Maintaining a good standard of oral hygiene is crucial in the war against tooth decay and gum disease. Just a few minutes of brushing and flossing each day could save you a lifetime of costly and painful dental treatment. When it comes to oral hygiene, prevention really is better than cure. 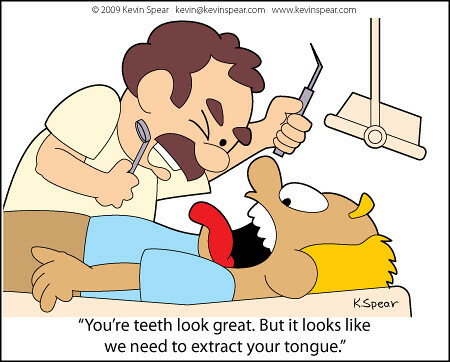 Dental problems are very easy to prevent but often very difficult to cure. Dentists recommend that patients brush their teeth twice a day for three minutes using an appropriate brush and toothpaste. This helps to prevent the build up of plaque on the tooth enamel. Plaque is a filmy substance made up of bacteria, decaying food particles and other debris. It breaks down the enamel causing cavities to develop, which if left unchecked will eventually penetrate to the root of the tooth causing toothache, abscesses and even tooth loss. Flossing helps to remove plaque from between the teeth which is very hard for regular toothbrushes to reach. It allows you to clean below the gum line which is also hard to clean with a normal brush. This can be significant in the prevention of gingivitis, or gum disease as it is more commonly known. Brushing and flossing are the front line defence against all forms of dental decay and disease and their importance cannot be underestimated. However, it is important, no matter how much of a fervent brusher you are, to keep up six-monthly check-ups with the dentist. Even patients with good standards of cleaning are susceptible to tooth decay, and a dentist will be able to spot the first signs of any problems. Keeping teeth and gums clean can also have the added advantage of keeping your breath fresh. Flossing removes trapped food particles from between the teeth which are the cause for over 90 per cent of all cases of halitosis. Using tongue cleaners and inter-dental brushes can also help to keep your mouth free of bacteria. Your dentist will be able to offer you advice on which brushes are most suitable for your teeth and give further instruction on the best methods of maintaining good oral hygiene.By making these few small sacrifices and tying it together with the all important six-monthly check ups with a your dentist you can help to prevent any future dental concerns. An extra few minutes each day to maintain dental hygiene is a small price to pay for a life free of the pain and worry caused by dental disease. Teeth grinding, or bruxism as it is clinically called, is the act of unconsciously grinding or clenching the teeth, either during the day or at night. 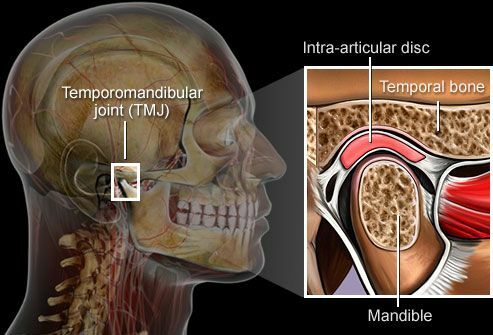 It affects not just the teeth but the whole bone structure around them including the jaw. As such it is a dental problem but also considered a larger medical concern. Teeth grinding during the night is as common a complaint as snoring but because the noise is not as obtrusive little is done about it.This is a very common condition amongst children and adults,it has been estimated that about 50% of all the adults have or have had the tendency of grinding their teeth, out of that percentage about 20% grind your teeth in a constructive way, meaning that the Enamel which is the outermost layer of the teeth gets compromised by the constant friction and pressure. — Because of the constant friction some people report to have chewed tissue on the inside of their cheeks; this tissue trauma may lead to oral infections. — Irritating sound. Married adults have reported that their partners constant clenching of the teeth has gotten so loud that it disrupts their night sleep. — Earache may also be a symptom due to the constant jaw muscle contraction; this pain doesn’t necessarily indicate that there is something wrong inside the ear of a person who suffers from this condition. — Worn tooth enamel, this is actually one of the most common symptoms caused by tooth grinding amongst the 20% of people who grind their teeth so hard that they change the shape and condition of their oral structure. — People who have an aggressive or hyperactive personality may be vulnerable to bruxism. — High levels of anxiety, tension or stress can also lead to this condition. When it comes to children this condition is mainly attributed to the growth of their oral structure and jawbone, some researchers have observed that some of the children who grind their teeth to it because their top and bottom teeth don’t actually fit comfortably as they are coming out, in other cases they do so because of they may be teething or feel anxiety or anger. Even though only 20% of the people who grind their teeth do it in a constructive way it is always recommended that you pay a visit to the dentist as often as possible if you suspect you may suffer from this condition. Treating bruxism at an early stage can help you avoid serious tooth decay and damage.Common treatments for teeth grinding range from the psychological to the preventative. Many believe that stress management will reduce the instances of teeth grinding. Dentists will often recommend using a mouth guard when sleeping to protect the teeth. 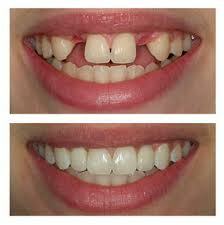 Teeth that have been worn down can be repaired with crowns and other treatments such as bonding. Ask your dentist if you or someone you know suffers from teeth grinding. They can suggest the best method of treatment to help you get a good nights sleep. Dental hygiene, also known as oral hygiene, refers to the process of keeping your mouth and teeth clean and healthy by following a routine of brushing, flossing and regular check ups with your dentist. As you are probably aware from television adverts, keeping teeth free from bacteria-rich plaque can help to prevent tooth decay and gum disease and can help to keep your breath fresh but most people don’t really understand why. Plaque is a major cause of cavities. It is a transparent layer of bacteria that coast the teeth. Brushing your teeth will remove the plaque build up. You can also floss once a day to insure that all plaque is removed, even where the brush cannot reach. Brushing stimulates the gums too, which keep the gums healthy and prevent gum disease. Even with the strictest dental hygiene routines it is still always necessary to see a dentist regularly to monitor for the first signs of any dental problems. It is also becoming more and more common to visit a dental hygienist as part of your regular check up. Hygienists are specially trained technicians who can remove any built up tartar and give the teeth a thorough deep clean alongside treatment from your regular dentist. Hygienists can also give the best advice on effective cleaning methods to help give your teeth the best protection possible.